Enjoy fine dining with impeccable wine pairings as Chef Jessie Rockwell Club offers a one-night only Austro-German Wine Dinner at for only P 2, 750.00 net per person. Start off with cocktails of assorted light German Sausages with Gherkins, Pickled Onions and Olives paired off with Gruner Veltliner Wiener Berge (Vienna Hills) 2011. Chef Jessie’s freshly baked ciabatta bread, rolls, butter and special dip along with Mesclun and Micro Greens with Crispy Fried Whiting in honey mustard dressing precedes dinner with a glass of Rudolf fuerst Silvaner Qba 2011. Konigsberger Klopse (German Meatballs in White Sauce) is served with mashed potatoes, sauteed red cabbage and green beans. The dish is paired with Gernot Heinrich Zweigelt 2010. A serving of Goulash (Meat, Noodles and Vegetable Stew) with handmade Spaetzle follows with a glass of Gernot Heinrich Blaufrankish 2010. Dessert is a lovely Linzer Torte with Homemade Raspberry Jam and Deidesheimer Leinhoele Spatlese 2010. Coffee and tea cap the whole meal. 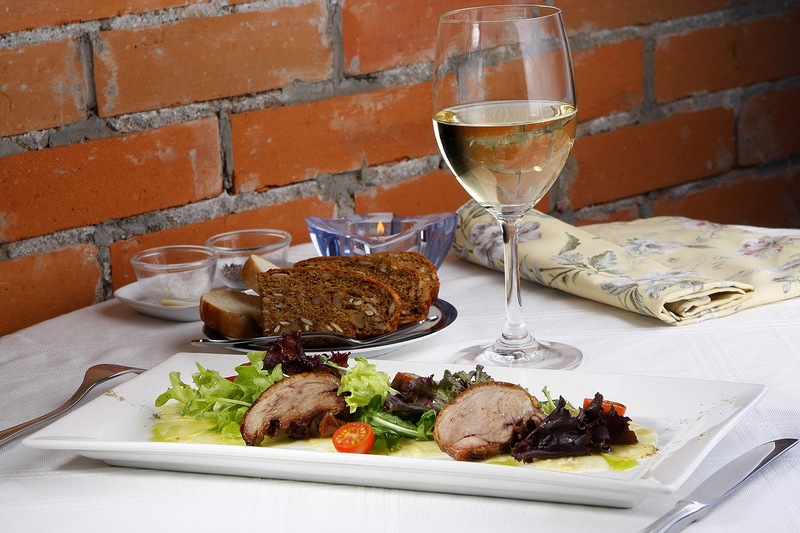 This Austro German Wine Dinner is P2,750 net per person. For more details and reservation, call 890-6543 or 8907630. Chef Jessie at The Rockwell Club is on the Ground Floor of Amorsolo Square, Amorsolo Drive, Rockwell Center, Makati City.